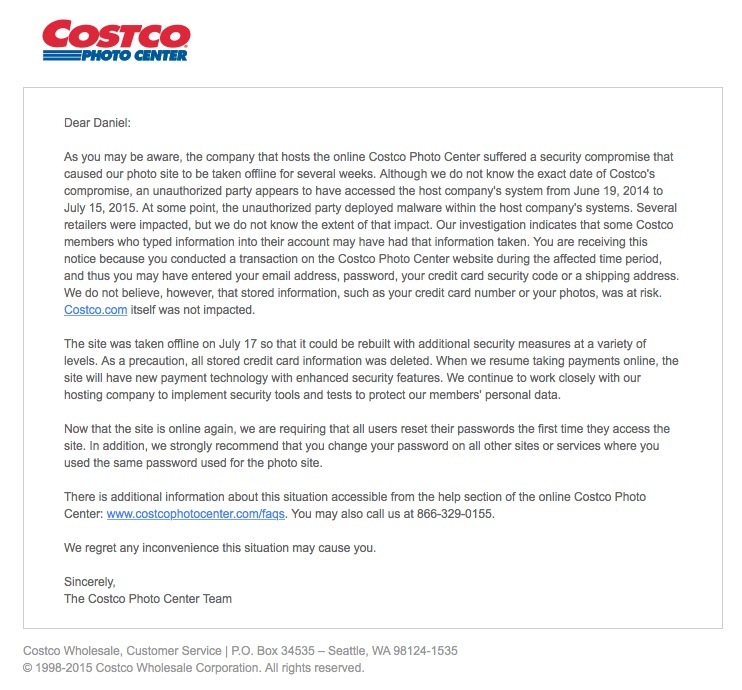 Wow, the Costco photo system was hacked for some 13 months until it was recently found. Now that doesn’t install much confidence in me about the security. Coincidentally in the past 12 months my Visa card company has issued me 2 new cards as part of their on-going security efforts. It’s important to note that my Internet Service Provider is 1and1.com and they have a totally different look to their emails than this fake email. Notice how this email has no company name listed, no toll-free phone number, no logo and no address. Furthermore, when I click on the email sender it shows some bogus address of admin@b.boyuan.net, certainly not a real company that I do any business with. Hopefully you will stay safe and secure in running your business and personal life online by not falling for security scams, or taking immediate action if a scam has stolen any of your vital information.